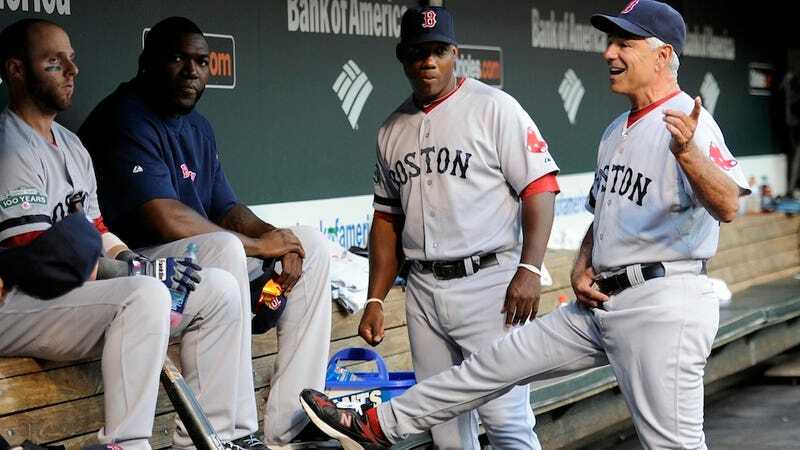 You would think firing Bobby Valentine would keep him from remaining a distraction in Boston. But that's not the Bobby Valentine we know—two weeks back, Bobby V went Costas Tonight and lobbed grenades from the safety of unemployability. "[A]fter he went on national TV to say what he said, he sent me a text message trying to tell me that it was the media trying to change things. I did not respond to the message and I said to myself, this guy must have some mental issues or needs medicine or something? I said, I am dealing with someone crazy and I am not going to drive myself crazy, so it is better if I leave it alone." I do love that Valentine tried to tell Ortiz that he was misquoted or taken out of context when, remember this, he said it on camera. We saw him sitting in the comfy chair and saw his mouth moving and heard the words and everything. If you want to define "the media" as the the physical invention of television, then yes, blame the media.